Visit us on Bauma 2019 – from 8. to 14. April 2019! If you want to buy construction machinary, a excavator, or an excavator attachment, you are in good hands with RS Baumaschinen GmbH and Robert Schreiber. They have over 30 years of experience in mechanics and engineering first-class, modern and innovative construction machinery. RSBaumaschinen GmbH and Robert Schreiber offer you a wide range of everything related to construction machinery, mini excavators, construction equipment, attachments for excavators and microtunneling. You can not only buy or rent the construction machinery and equipment from reputable (Italian) manufacturers, you can also choose one of the specially developed RSB SIDE WORKS implements for the Eurocomach ES 60 TR RSB excavator to carry out specific tasks in road construction or landscaping. With the RSB SIDE WORKS attachments from RSBaumaschinen GmbH, the compact mini digger Eurocomach ES 60TR RSB becomes a multifunctional tool. The 6t hydraulic excavator has a slightly modified front shield with two lifting eyes at the top, an additional hydraulic circuit making it easy to offer a FASTER multi-coupling on the undercarriage for attaching the add ons. These changes have no compromise on the function of the excavator. We have two new excavators in storage ready to be sold today! For the user, this means that the excavator, with all its functions and possible spoons, grippers, hammers, etc., is available to it as usual. The superstructure of the excavator can still be rotated 360 ° endless, because the attachments are attached to the undercarriage and do not pose any obstacle. 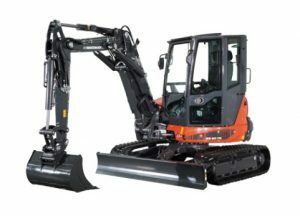 The hydraulic functions of the excavator are neither delayed nor limited in any way. The field of application of the excavator is thus greatly increased, especially in road and track construction as well as demolition or landscaping, since in a few minutes an attachment from the series RSB SIDE WORKS added and connected with a plug polarity reversal and clean to the power supply of the excavator and can be locked. 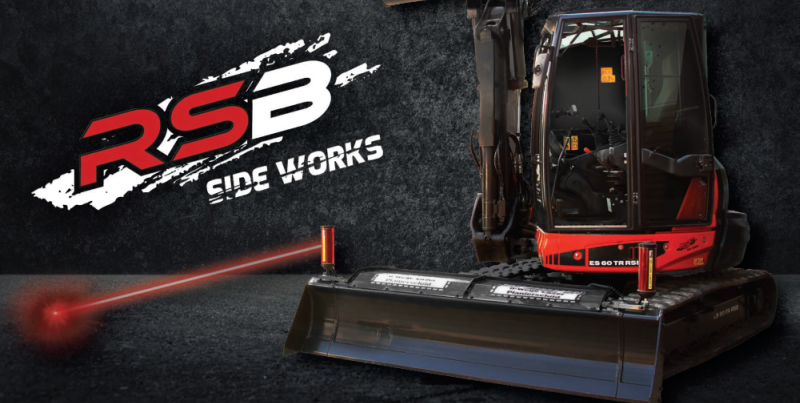 The RSB SIDE WORKS products include graders, screening and crusher equipment as attachments. It is all their own that they are attached to the front plate and connected via the FASTER multi-coupling to the power supply of the excavator. This allows the excavator’s upper carriage to continue to rotate 360 ​​° without any restrictions, and the equipment on the boom can still be used. Sales, rental and maintenance of construction machinery and accessories as distribution partners of various manufacturers, such as Eurocomach, Cangini, Simex, Socomec and Gritzke. Own, z.T. 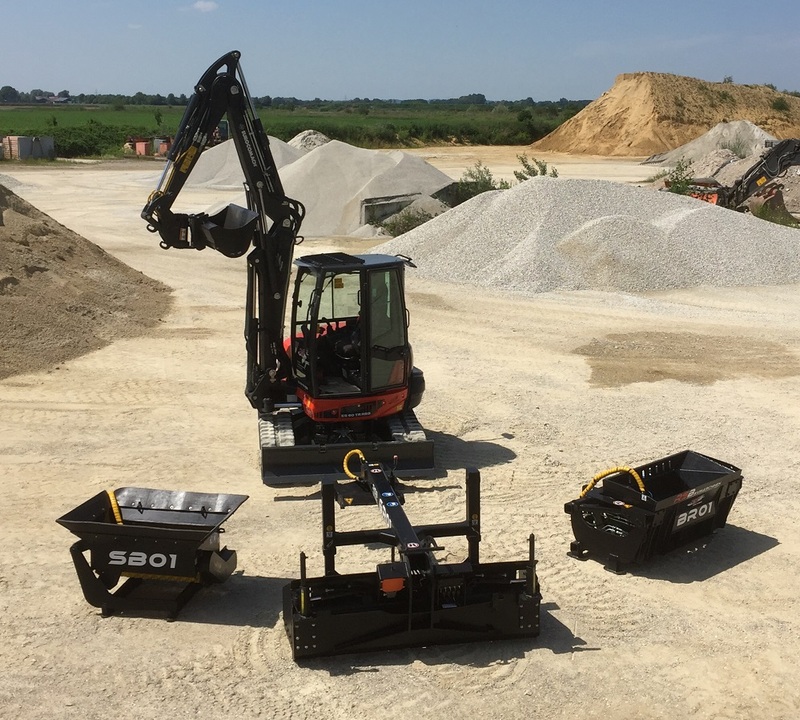 patented, developments in the series RSB SIDE WORKS: attachments for the excavator Eurocomach ES 60 TR RSB such as the grader GR01 or the sieve shovel SB01, which are innovations in road construction as well as in landscaping, with which you can save a lot of time. For you as a customer, this means that you can get everything from one source. Contact us today.